In a survey of end-users of electric motors performed by our International Trade Association EASA (Electrical Apparatus Service Association) it revealed that 42% of those questioned described their strategy as ‘reactive’ compared with 30% who stated they employed a ‘preventative maintenance’ approach. The ‘Reason for Failure’ follows an investigation when the motor is received and prior to a repair specification is developed. Before even a spanner or screwdriver is taken to the machine its condition is recorded and any outward signs of damage noted. Following static electrical tests the electric motor is dynamically tested if at all possible and the results noted within an ISO 9001 documented system. It is only after these tests have been exhausted is the motor disassembled. During the disassembly phase all components are examined in place for signs of wear and damage with a view to determine the series of events which took place which resulted in the motor failing. Only once this is complete, can the individual components be cleaned thoroughly in order to facilitate visual and NDT testing to confirm their integrity or otherwise what remedial action is required to bring them back to the Original Equipment Manufacturers specification. Once these examinations and tests have been completed can a ‘scope of work’ be devised and subsequent quotation for the customer’s consideration raised. The section ‘action to avoid reoccurrence’ is based upon the investigation and can form the basis for a Root Cause Failure Analysis to be performed by the customer should he wish to do so. 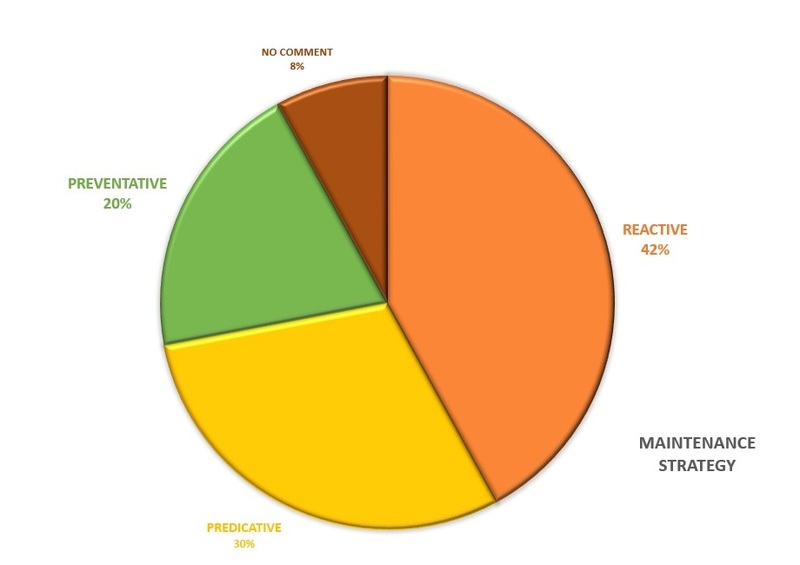 Going back to the survey, in addition to the 42% stating their strategy was one of reactive maintenance a further 30% of those surveyed described their strategy as Predicative and 20% as Preventative. The remaining 8% declined to comment.